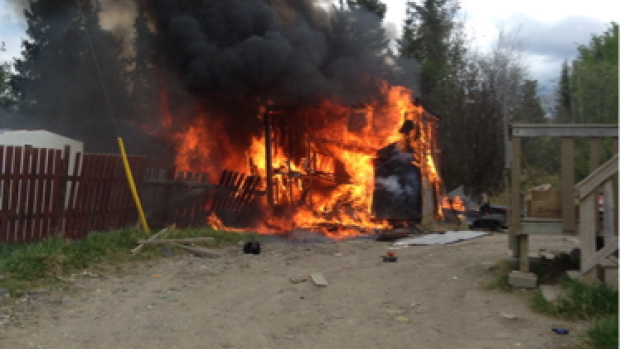 Burning shed on Nisichawayasihk Cree Nation in northern Manitoba. Chasity Spence and Arnold Culley helped save four children from a burning shed on Nisichawayasihk Cree Nation this weekend. Spence said she heard children crying and screaming inside a burning storage shed Saturday afternoon and knew she had to get them out somehow. “I grabbed the wall and I ripped it right off. I couldn’t believe that, I’m a tiny little person and that wall was boarded on there pretty good with three other two-by-fours right over it,” she said.